This was my first time staying in a hostel and I loved it. The atmosphere was awesome, the bed was cozy, I always felt safe, and the hostel is very centrally located. The staff was so amazing. I will definitely stay here again. Fantastic vibes through and through. Felt comfortable and welcome in the hostel as well as in the surrounding area (not to mention easy access to everything). Definitely a good spot for solo travelers too! 100% would recommend! Was a great base to use whilst taking day trips around PR. Staff were amazing and knowledgable about what to do and where to go. I arrived as a solo traveller and left with lots of new friends - very easy to meet new people here. 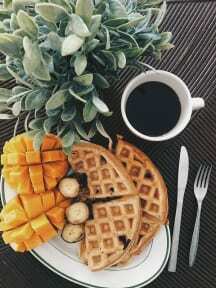 FREE WAFFLES EVERY MORNING, how can you say no? I was traveling solo to San Juan and stayed here for three nights. Three biggest factors for me were Location, Social and Staff. Its a very social hostel and you can meet and make new friends easily. The staff is very helpful and social as well. Its very secured and in a very safe location, just a few minutes walk from the beach. The only downside for me was that the AC remains off from 9 am to 7 pm and the windows in the room doesnt open, so taking the nap during the day can be challenging. The open environment and social feel was so welcoming! 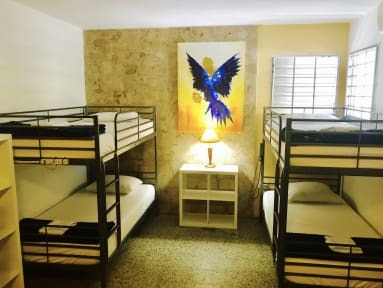 Definitely the best hostel in San Juan, Staff and Location beats every other hostel in the area.